Abraham Ortelius was born in Antwerp in 1527. He was famous cartographer and geographer from the south of the Netherlands. 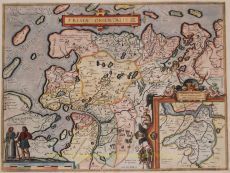 Ortelius was the founder of the modern Atlas, and can be seen as one of the great Geographers of his time. Ortelius' family originated from the German city Augsburg. 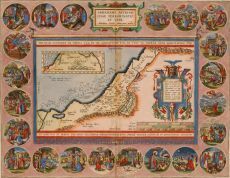 In1547 Ortelius performed as colorer of maps in the guild of Saint-Lucas in Antwerp. 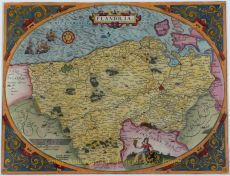 He shortly lived... Read moreAbraham Ortelius was born in Antwerp in 1527. He was famous cartographer and geographer from the south of the Netherlands. 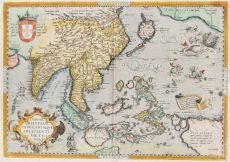 Ortelius was the founder of the modern Atlas, and can be seen as one of the great Geographers of his time. Ortelius' family originated from the German city Augsburg. 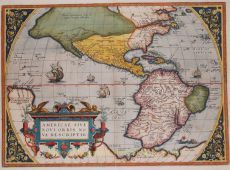 In1547 Ortelius performed as colorer of maps in the guild of Saint-Lucas in Antwerp. He shortly lived in England and Liege after 1576 for political reasons.